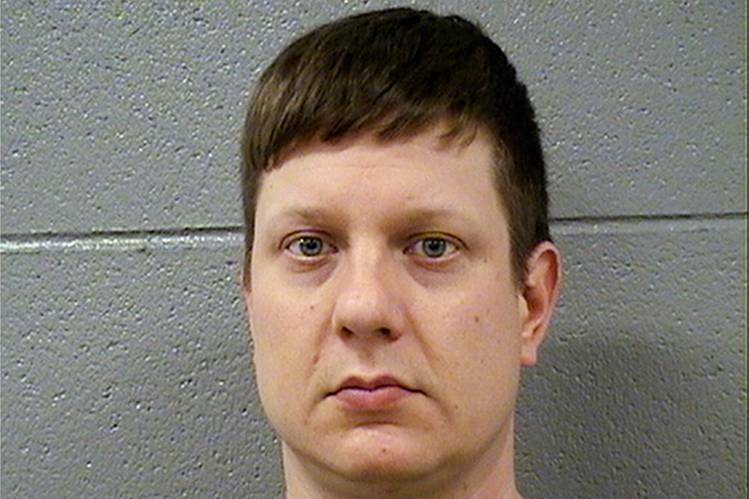 SPRINGFIELD — The Illinois Supreme Court has rejected a bid to give a different sentencing to former Chicago police officer Jason Van Dyke for the 2014 on-duty killing of Laquan McDonald. The petition to resentence Van Dyke was filed in early February by Illinois Attorney General Kwame Raoul and special prosecutor Joseph McMahon, who argued in effect that the case’s trial judge, Vincent Gaughan, gave an improperly lenient sentence of six years and nine months. In January, a Cook County jury convicted Van Dyke of one count of second-degree murder and 16 counts of aggravated battery with a firearm — one for each of the shots fired into McDonald’s body. Van Dyke was sentenced only for the second-degree murder, however, with Gaughan arguing that the aggravated battery convictions were merged into that sentence. A sentence on any one of the aggravated battery convictions would have carried much more prison time for Van Dyke, as, legally, it is the more serious offense, with a maximum prison sentence of 30 years compared to only 20 years for second-degree murder. With them, Van Dyke could have faced a mandatory minimum sentence as long as 96 years, according to Cook County Assistant Public Defender David Holland in a column written for the Chicago Daily Law Bulletin. In their petition, Raoul and McMahon used the precedent from a 2004 Supreme Court case called People v. Lee to argue that, between second-degree murder and aggravated battery with a firearm, a judge must give a sentence on the more serious offense. Without a written explanation, the Supreme Court rejected the attorney general’s petition Tuesday. Four justices concurred with the decision, while Justice Thomas Kilbride partially dissented and Justice P. Scott Neville issued a more lengthy dissent. Justice Mary Jane Theis did not take part in the decision. “Allowing a sentence to stand, where it has been challenged as contrary to Supreme Court precedent and contrary to statutory sentencing guidelines, ‘would lead to public contempt for, and ridicule of, our court system,’” Neville wrote. Van Dyke is in a federal prison in New York. With good behavior and no resentencing, he is likely to serve only three years, or until February 2020.